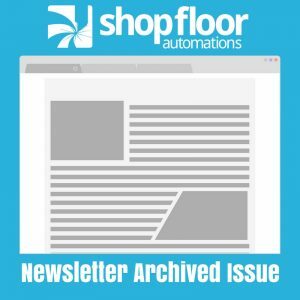 Shop Floor Automations (SFA), a provider of software for the manufacturing shop floor, installed Predator’s version 9.0.16 through the end of 2013 while beta testing version 10.0 of Predator DNC Software and Editor. Version 9.0 has been installed at hundreds of different sites. The main benefit is its compatibility with Windows 7 and Windows 2008/2012 server, including both 32- and 64-bit Operating systems. SFA can provide end users with new hardware to integrate their existing wired system into wireless 802.11 B/G or embrace Ethernet technology on the shop floor. The use of RS232 serial ports is being phased out and networking CNC machines is becoming more prevalent. Predator Software includes functionality to communicate via FTP or Windows Share, and supports the use of the FANUC FOCAS to simplify file transfers. RS232 standard protocol is also included to support the hundreds of legacy CNC controllers with enhanced file management tools to automate the download and upload process. Read the whole piece here! You may also call SFA and ask us about more Predator Software solutions at (877) 611-5825. The different Predator solutions we are offer: DNC. Touch HMI, EditLock, MDC, CNC Editor, CNC Editor Express, CNC Editor Light, PDM, and Tracker. We have been the number one reseller of Predator Software since 1999 and continue to customize this solution to fit customer needs. Ask about demos and free trials!